Beethoven’s Violin Concerto in D major, Op. 61 set the standard for all violin concertos which followed, but you might not have known it at the first performance on December 23, 1806. According to legend Beethoven finished writing the solo part so late that Franz Clements, the violinist who gave the premier, was forced to sight read part of the concerto in the performance. In addition, Clements may have performed one of his own pieces in between movements, playing on one string with the violin held upside down. These antics suggest that the concert experience in Beethoven’s time may have been slightly less reverential than it is today. Many listeners in 1806 may have been overwhelmed by the scale and power of Beethoven’s shocking new music. Let’s listen to Isaac Stern’s great 1959 recording with Leonard Bernstein conducting the New York Philharmonic. 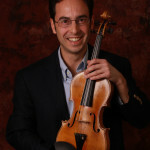 Pay attention to the way the orchestra and the solo violin interact. This dialogue between tutti (everyone) and solo is what gives a concerto its drama. In this concerto, Beethoven often gives the violin embellishing scale and arpeggio lines which float above the melody in the orchestra. The first movement grows out of five quiet timpani notes. Listen to the way these five notes come back in different forms throughout the movement. The first movement is full of surprises. The five notes in the timpani provide a motivic seed, ripe for growth and development. The violins pick up this motive (0:25) but imitate it with a completely “wrong” note. Throughout the movement, Beethoven keeps us off guard, quickly alternating between moods. Just when we get lulled into lyrical complacency, we get a ferocious surprise (listen between 0:57 and 1:41). 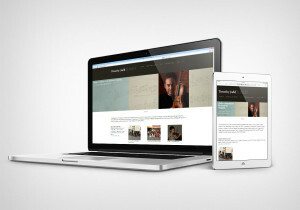 Beethoven musically provides “two sides of the same coin,” or in this case two sides of the same melody. At 1:40 the melody is sunny, in the major. Notice the way it changes to something slightly darker and more unsettling when it shifts into minor (1:55). In the mysterious passage following 7:33 the “wrong note” is further developed. Pay attention to the way this moment of quiet musical confusion works itself out. In the tutti section which follows (8:27-10:32), the motive, which started out as five soft timpani notes in the opening, is now transformed into insistent, repeated fortissimo octaves dominated by the trumpets and horns. Traditionally, the cadenza appears at the end of the first movement of a concerto (19:23). This is the moment when the orchestra drops out and the violinist improvises on the motives of the movement, showing off great technical skill. Later, it became common for performers to use established cadenzas. In this recording Stern plays a cadenza written by the legendary early twentieth century violinist, Fritz Kreisler. Share your thoughts on this remarkable piece in the thread below. What was your experience listening to the cadenzas by Schnittke? Do they enrich the piece or do they seem jarringly out of place? Do you have a personal favorite recording of the Beethoven Concerto? 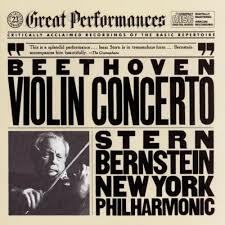 Isaac Stern’s recording with Bernstein conducting is of course one of the greatest recording of this concerto ever made. It’s well known that Gidon Kremer likes Schnittke’s music. I don’t like these cadenzas (what are the timpani making here?) Beethoven’s own writing in his last quartetts is much more modern than this!…. a special mention for Jascha Heifetz (RCA), but the tempi adopted by Charles Munch conducting the BSO are too fast from my point of view.